Halloween is the time of year that zombies are more out in the open and that means that we may have to warn some people. 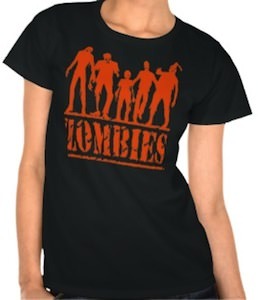 On this dark t-shirt you can find in orange a row of 5 zombies all different but all clearly zombies and below that in BIG letters it says “ZOMBIES”. You can get this fun shirt in a range of colors but a dark one is just the best. And this zombie t-shirt is available for men, women and kids and it comes in a wide range of styles to fit perfectly with your needs. 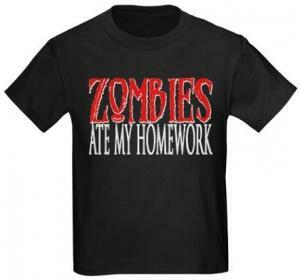 If you want to get ready for Halloween then lets do it in this Zombies T-Shirt. 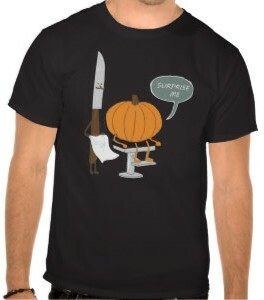 This Halloween t-shirt shows a pumpkin with a light on it that makes it glow and besides the pumpkin there is a girl sitting all black in black and white looking like she is not having a laugh any time soon. The goth kind of girl makes this Halloween t-shirt stand out even more and that makes it special and perfect for Halloween. 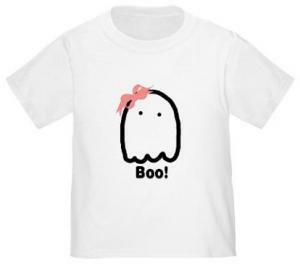 You can get this Halloween t-shirt in men, women’s an kids styles and sizes and it even comes in a range of colors but a dark color fits best (in my opinion). 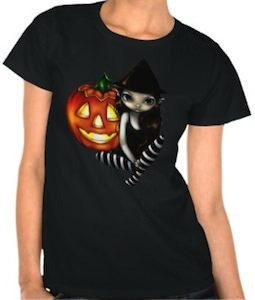 So get ready for Halloween with your new Halloween With Pumpkin And Girl T-Shirt. Getting ready to spook around? If so maybe this t-shirt will bring you in the right spirit. This t-shirt shows a full moon and in front of the moon you see a yellow eyed bat spreading it’s wings. 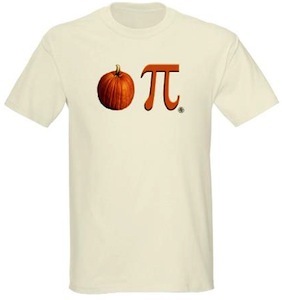 Of course this is the perfect t-shirt for Halloween but also for any other day of the year that you like to be a bit strange. And this t-shirt comes in a ton of styles for the whole family and even different colors and sizes are available. 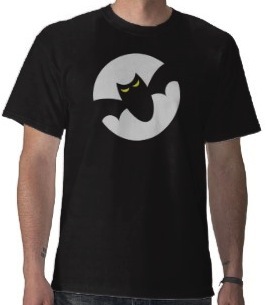 Get ready for Halloween with this Bat And The Moon T-Shirt. What do you get when you have two bee’s dressed up as ghosts? This is a very fun and cute t-shirt that features two bee’s dressed up as ghosts, find the bee bottoms sticking out in black and yellow aswell as wings and antenna with a little ghost costume on each bee. 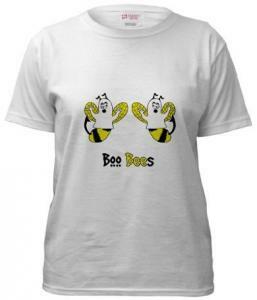 Also find the saying “Boo Bees” in black and yellow print underneath the image of the two bee’s, this t-shirt is perfect for the informal halloween party or just any occasion. Made from 100% cotton this is a durable and comfortable t-shirt that can be found in sizes Small to 2XLarge and check out all the different styles and colors too. There is your Halloween costume you can wear to work, school and everywhere else. 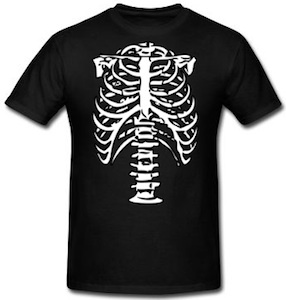 It is just a simple black t-shirt with a picture of your inside skeleton with the ribs and spine. And this t-shirt comes in kids and adults styles for males and females. So if you want the perfect skeleton t-shirt then check out this Skeleton Ribs T-Shirt.